Oh, DRM…Why has God forsaken you? DRM has been a woeful failure for years now. It has inconvenienced far more players than pirates it has stopped. Now, of course, I’m not advocating piracy and all of this has been said before and all of it will be said again. However, I am dismayed because I thought we had seen all of the worst DRM possible. I never wanted to believe that a worse DRM could even exist and yet here we are with captain of industry, EA Games, bringing us a DRM that makes no sense and makes a beloved franchise brought back from the dead unplayable. At midnight on Tuesday, March 5, EA Games released via their Origin digital distribution service a new incarnation of SimCity. There has not been a new version of SimCity since SimCity 4 in 2003 (plus or minus 2007’s SimCity: Societies), but regardless the Origin download unlocks at midnight and almost immediately problems started. So what could cause such problems so fast? Three little words: Always Online DRM. You see EA in all their infinite wisdom decided that “Always Online DRM” was the smartest and most effective DRM method. Always on DRM means exactly what it sounds like: You must be online to play their game even if you are building a private city. 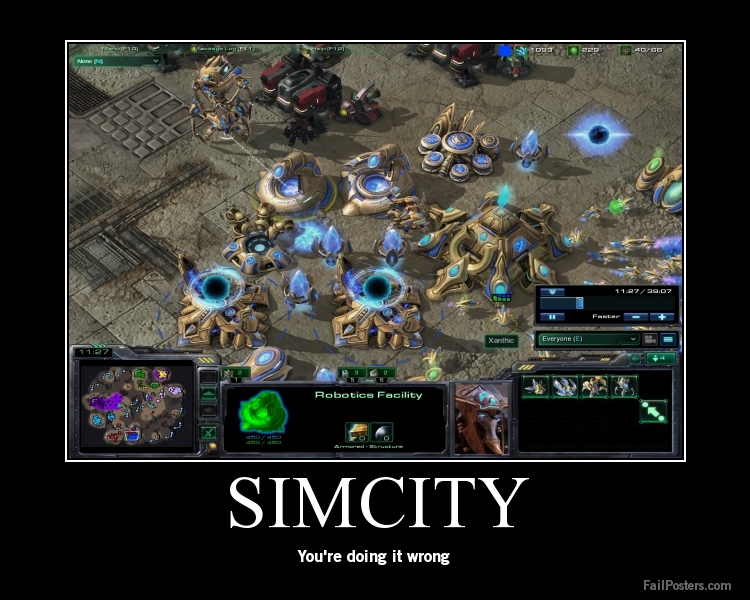 They did attempt to make it worthwhile for you to be online by allowing you to view other player cities and create regional economies where your city is affected by cities around it, but still at its core each player is building an individual city so why is there no Singleplayer mode? There is private mode, but those players have been suffering the same issues as public players so let’s examine that now. Always Online DRM should have been an annoyance or an inconvenience not unlike Diablo III’s Always Online DRM so Where did EA fail? EA launched with only 5 Servers for THE ENTIRE WORLD. There were two US servers (US East and US West) as well as two European servers and an Oceania server. The US servers were constantly full giving players messages that they should try again in 20-30 minutes. The servers were not even equipped to run a server queue. They expected you to manually keep trying until you get in. The European servers were region locked, but experiencing similar issues. These issues have been occurring for almost 48 hours now to the chagrin of numerous players and ultimately requiring EA to shut down the servers and update them while bringing new ones online. Gabriel wasn’t able to get into SimCity last night to play, because the server wasn’t working and single player games don’t exist anymore, even if you are playing a private city and nobody can come in anyway. So I would remember it, because it was important, I said here in the post a long time ago that “EA games come with free misery.” This is why I stopped being an annual purchaser of Tiger Woods games: because this company has a serious, serious problem with execution at launch. You would only fix it if it meant more sales. But it doesn’t, because everybody already bought it. Well, except me. EA will only see a desire to fix their launch failures if they see more sales in it, but because we buy things so instantaneously all the more so now with digital downloads they only fix things after the fact. So I guess the moral of the story is know what you need for launch, but for us players: be careful what games you choose to buy on launch day because buying a game on launch day is an implicit acceptance of whatever insane DRM you have to deal with.